Botanical name [? ]: Amblystégium sérpens (Hedw.) Schimp. Amblystegium serpens, or creeping feather-moss, is distributed on the entire northern hemisphere, but is also found in South America, Australia and New Zealand. 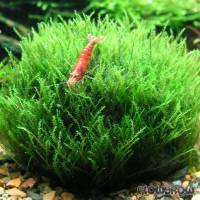 It prefers nutrient-rich locations with a basic pH, moderately dry to moist, sunny to shaded, on soil along roads and in gardens, under trees and bushes, and also on dead wood, bark and rocks. This small inconspicuous moss often accompanies other commonplace mosses like Brachythecium rutabulum. The emersed form of A. serpens grows in dense lawnlike populations consisting of decumbent to ascending, irregularly ramified moss plantlets, whose leaves are no more than a millimetre in length. As the leaves of Leptodictyum riparium, those of A. serpens are lanceolate and have an acuminate tip as well as a midrib reaching to the middle of the leaf or slightly above. The leaves are considerably smaller than those of L. riparium, and the leaf cells are wider (three to five instead of six to twenty times longer than wide). Even though Amblystegium serpens doesn't grow in water in nature, it can be cultivated submersed in an aquarium, where it forms delicate, upright shoots. 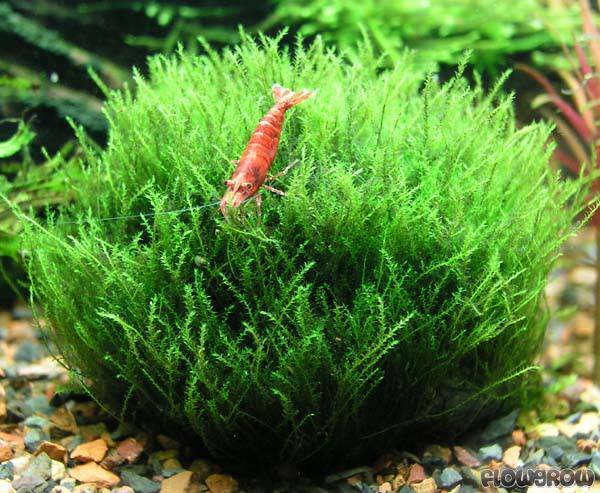 This growth habit gave it the vernacular name "nano moss" in the aquarium hobby. There is no detailled information for cultivating this plant yet. There are no reviews so far. Do you want to write the first one?